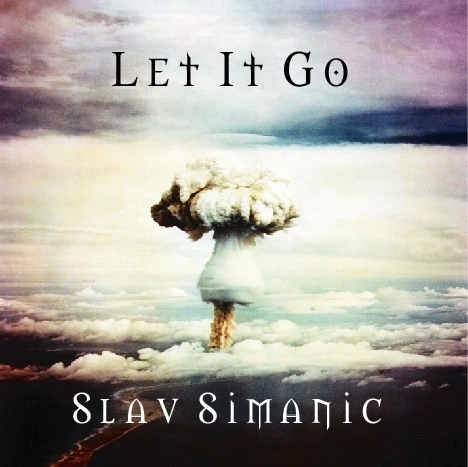 SLAV SIMANIC - "LET IT GO"
Slav Simanic is a guitarist from Yugoslavia, who relocated to Canada in 1994 and from that point he started to become quite known in the scene. After releasing a first solo-CD entitled 'Water of life' (which will be enclosed as bonus disc with this new CD), Slav recorded songs for tributes and released the album in both North America and Japan. Recently he was signed by FRONTIERS RECORDS in order to release a new CD with vocal songs (his debut contained mostly instrumentals). The vocals are handled by none-other than Phil Naro (24 K, NARO, TALAS), while the fantastic production was done by EMERALD RAIN leader Mike Dmitrovic. The music included is high quality guitar orientated melodic hardrock with a clear 80s approach. There's a diversity of styles to be heard on the CD, because included are simple heavy rockers a la KISS, VAN HALEN ("Let it go", "Can't stop on a dime" and "See the light"), calmer melodic rockballads ("People say" and "Promised land"), instrumental pieces ("Discliples of...", "...the almighty" and "The message of three angels"), an excellent melodic heavy rocker a la RAINBOW/AT VANCE ("You're never gonna die"), great quality melodic hardrock a la SCORPIONS ("I'm going up higher") and catchy late 80s melodic rock a la DOKKEN ("You"). Having said all this, I think you understand that it's hard to categorize this CD in a particular style. That doesn't mean you should avoid this CD, because I think a lot of people will like so much diversity on 1 CD, and it's all quality what we hear on Slav's 2nd CD. As a bonus you'll get his first CD as well, so better save up your money for this release.